One of my absolute favorite parts of the holy month of Ramadhan is Dua Iftitah. My evening does not feel complete unless I read Dua Iftitah every day, whether for myself, or at a mosque, or listening to a recorded recitation. This was not always the case, though. When I was young, I clearly remember feeling like it took way too long, and I dreaded having to sit and listen, impatiently awaiting the end of the program when I could hang out with my friends. It wasn’t until later that I started to appreciate the beauty of this Dua. I believe that it is essential for our children to see the beauty of the Duas that we read. While I agree that the Arabic recitation of our Duas is extremely valuable, for us to truly understand the depths, reading the Dua in our language is essential. We have to KNOW what we are saying, rather than just listening or reading along without any understanding. 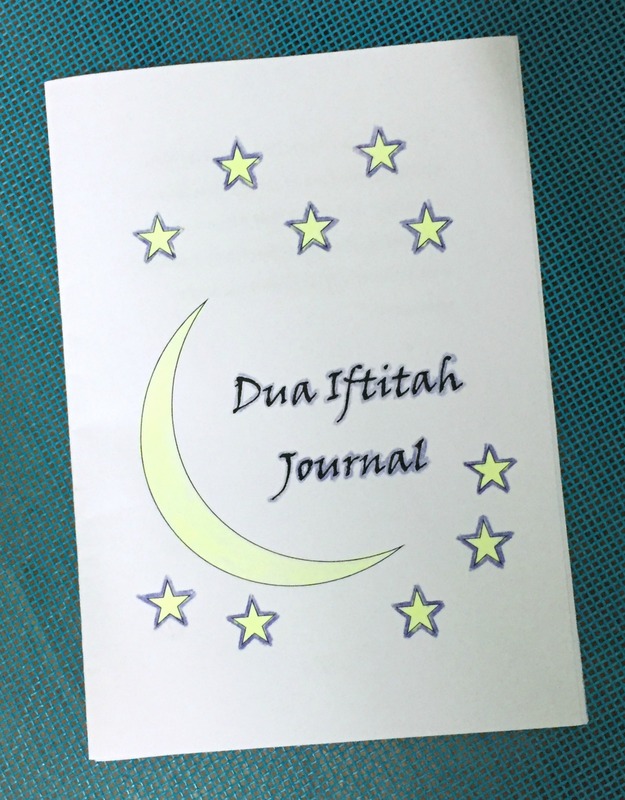 This booklet is a journal with fifteen of my favorite passages from Dua Iftitah, in English. I have chosen the passages that I feel are especially vivid and relatable. As we know, the Dua is split into two parts, the first dedicated to praising Allah and understanding our relationship with Allah, and the second is about the twelve Imams, especially the twelfth Imam (AS) and our life in this time of Ghaybat as we look forward to the reappearance of the Imam (AS). It has some especially powerful lines, and that is what I have tried to quote in the journal. This journal is designed to inspire thought, aimed at older kids and even adults. There is a lot of empty space beneath each quote to react to what is written above. You can draw, write, color, whatever feels best for each passage. There are several very vivid passages that can be turned into pictures to make the quote memorable. There are other passages that are thought-provoking, and we can analyze how we see them and apply them in our lives. My purpose in this journal is to create a space to react to the Dua in a way to make the dua more personal, memorable, and relatable. This will help us connect to the Dua whenever we are reciting it or even listening to it, even if we don’t have the translation right there in front of us. We can understand more of the purpose of the Dua, and in this way, realize the beauty and fall in love with it, inshaAllah. Tip #1: Print this double-sided in booklet format! Tip #2: These are my chosen passages, ones that I thought were especially powerful and meaningful to me. I recommend reading the translation of Dua Iftitah and adding pages to the end of the book that contain statements that are meaningful to you. Tip #3: Be as creative (or not!) as you feel! Images, words, or even a single word – whatever feels right for you. 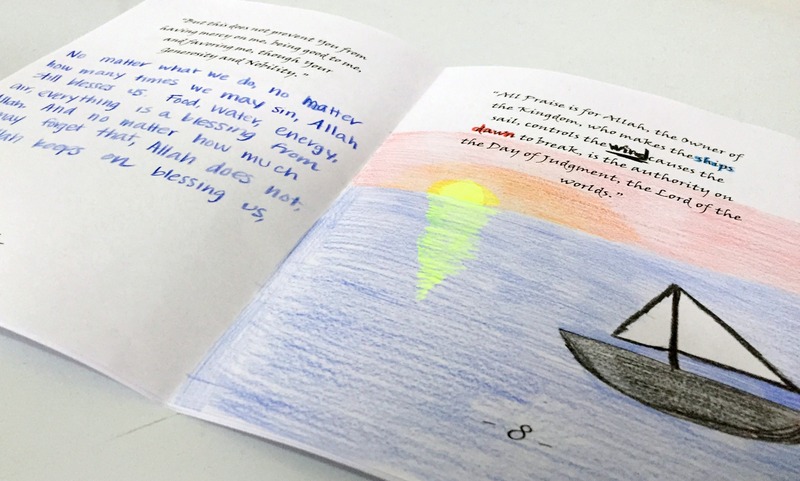 To download this journal, go to the Teaching Young Muslims Resource Library! Enter your name and email address here to receive the password to access these downloads. If you use this journal, I would love to see it! Please share some of it with me either in a comment below, or in an email if you are more comfortable with that. All links are given below/on the side!